We are always surprised how affordable a used Jag can be. We have long held the belief that a used Jaguar is one of the greatest values on the market. Unfortunately, buying one always meant rolling the dice on expensive repair bills and annoying breakdowns. Today, in the era of certified-pre-owned cars with warranties, buying a used car, even a well-known and sometimes unreliable one like a Jaguar, is easier than ever. 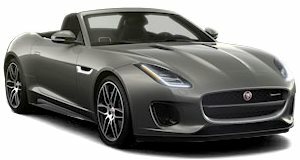 That is why we found five amazing used Jaguar models that are either certified or extremely low miles that we think represent an incredible bargain for someone who wants an interesting car. The Jaguar XFR was always a really and Mercedes E63 AMG. No one really paid that much attention to the XFR when it was new, but on the used market it's now a remarkable value. We found a stunning Kyanite Blue 2013 model with less than 23,000 miles on it, for example. The car is for sale as a certified pre-owned vehicle at . The 5.0-liter supercharged V8 pumps out 510 hp and 461 lb-ft of torque, which can get the car to 60 mph in 4.4 seconds. Why buy a base BMW 340i when you could have a supercharged Jag that is covered by a warranty? A used Jaguar can be a performance bargain, but they are even more well known as a luxury bargain. 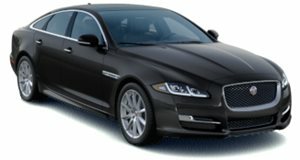 The Jaguar XJ may not be very competitive with the new Mercedes S-Class in the technology department, but a used one is a fantastic bargain. We found a 2011 long-wheelbase model with less than 38,000 miles on it. The car is currently for sale for just $29,847 at Crown Eurocars in Florida. The 5.0-liter V8 produces 385 hp, and the back seat is a wonderful place to sit thanks to soft leather seats with wooden tables that fold down. We can't think of a more comfortable car that costs less than $30,000 and still comes with a warranty. The XFR is a fantastic value, but the standard XF can also be a great bargain. The market is littered with 2.0-liter XFs, but who wants that? Instead we found a 2012 model that is equipped with the 385 hp 5.0-liter V8. 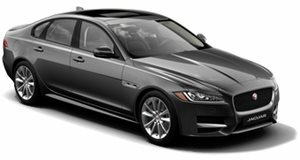 In 2013, Jaguar introduced the 2.0-liter turbo XF with 240 hp, but we think the V8 model is the one to have. The one we found is offered for $24,990 with around 51,000 miles on it at . It is amazing to think that this V8 luxury sedan costs around the same amount as a fully loaded brand new Honda Civic. We are eagerly awaiting the day for when Jaguar F-Type will become an affordable used bargain. While that day day isn't here yet, we are getting close. A base F-Type will cost more than $60,00 to buy new. We managed to find a 2014 F-Type with . This may not be as big of a bargain as some other cars on this list, but the $15,000 in savings over a new model gives us hope the F-Type could easily dip into the $20,000 to $30,000 price range in the coming years. The model we found has the 3.0-liter supercharged V6. Unfortunately prices for the V8 F-Type are still a bit too high for this list. We decided to put one model on this list that isn't actually certified pre-owned. This 2009 Jaguar XK makes our list because it only has 18,000 miles on the clock. The 4.2-liter V8 in this car produces 300 hp which could get it to 60 mph in 5.9 seconds. This luxury coupe was never meant to be an all-out speed machine. Instead, it was meant to transport two well-off individuals in extreme comfort and style. Even eight years later, we think the XK is still gorgeous and worth consideration with prices as cheap as they are. is only $29,979, and prices get much lower on models with even higher mileage.